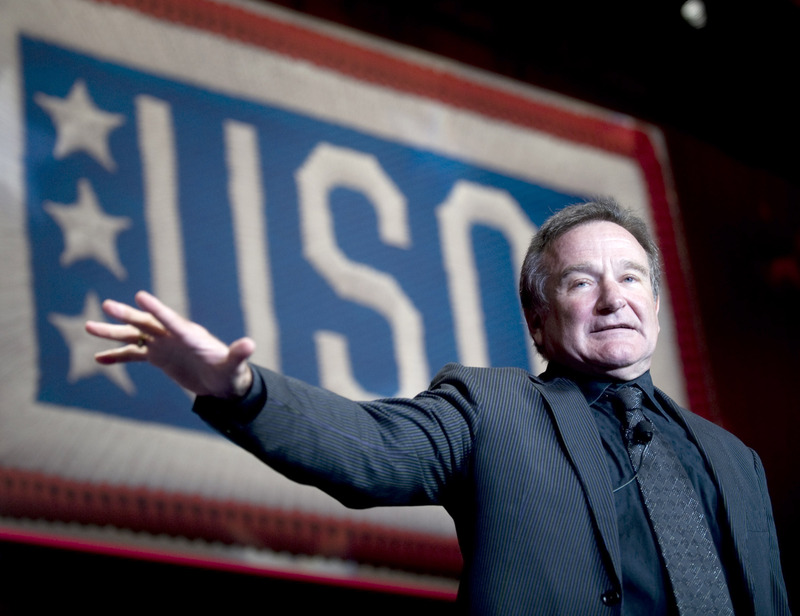 The Robin Williams Center will offer free educational programming to more than 40,000 actors, broadcasters and recording artists in the New York metro area. On Wednesday, October 5th, the SAG-AFTRA Foundation will open the doors to its new screening room and educational space in New York City, named in honor of the late Robin Williams. The debut of the space –the Robin Williams Center for Actors, Broadcasters and Recording Artists – will be marked by a celebration of Williams’ work, featuring a Conversation with Robin Williams that took place at the Foundation in Los Angeles in 2003. Following the screening, a panel of friends and colleagues including Hank Azaria (The Birdcage), Billy Crystal (Comic Relief, Father’s Day), Whoopi Goldberg (Comic Relief), Bonnie Hunt (Jumanji) and writer / director Barry Levinson (Good Morning, Vietnam) will discuss collaborating with this genius of stage and film and share how Robin’s artistry contributed to a legacy that will enlighten and continue to educate future performers. As the newest hub within SAG-AFTRA Foundation’s robust resource arsenal, the Robin Williams Center, located at 247 West 54th Street between 8th Avenue and Broadway, will offer free educational programming to more than 40,000 actors, broadcasters and recording artists in the New York metro area. The Center will not only become the permanent home to the Foundation’s bedrock Conversations and The Business programs, but it will serve as an extension of the Foundation’s already existing free resources for SAG-AFTRA members –the EIF Voiceover Lab, an on-camera lab, a computer lab and classroom – housed within their New York office at 1900 Broadway.